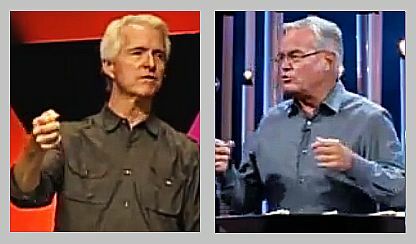 John Ortberg (left) and Bill Hybels (right) – surprising combatants in a war of accusations. Bill Hybels was the subject of a Chicago Tribune story this week which rocked my world. (The term being used is sexual misconduct.) Part of the reason this hits closer to home is that he’s one of a select list of pastors whose sermons I listen to weekly. I’ve been onboard with Willow since a friend gave me a cassette entitled “Philosophy of Ministry” back in the early 1980s. I’ve championed the concept of seeker-friendly churches (most churches are seeker-hostile) and applauded them when they realized in 2007 that the spiritual needs of seekers had changed and that on their current course they were not producing long-term disciples. I’ve attended services at Willow; my wife attended a conference at the Northwest Chicago campus. But John Ortberg, who is bringing the charges against Hybels is also on that list of pastors whose teaching has influenced me and I continue to enjoy. I tracked with Ortberg when he was on staff at Willow and have followed his sermons at Menlo Park Presbyterian. I’ve read and reviewed his books. When I started a church plant in my town, for six weeks we did the videos for If You Want to Walk on Water You Have to Get Out of the Boat. In times like this we need to keep our eyes on Christ, not people. We need to focus on Jesus, not Christian leaders or Christian institutions. 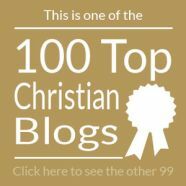 We need to not be surprised when stories circulate (a type of ‘wars and rumors of war’ if you think about it) and continue to make Christ our focus. For now, that’s all I have to say about this story. We’ll see how it plays out over the next days and weeks. 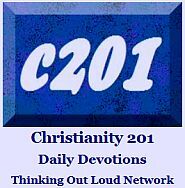 Other coverage: See Christianity Today. Update: A Chicago Daily Herald report on the 2-hour congregational meeting which took place Friday night at Willow. And the Chicago Tribune itself, where this week’s bombshell was dropped, also sent a reporter to the congregational meeting. For the last few days, I’ve been enjoying AHA, a forthcoming book by Kyle Idleman1. Reading it reminds me of his unique style that I first discovered in the H20 series, and then in Not a Fan. I’d be willing to travel to Southeast Church just to see him preach in person, but I’d be more thrilled if Kyle could make it to a city near our hometown sometime, so more of our friends could experience his ministry in person. Seriously. We have the example of Billy Graham, but we also have the practical logistics available from Greg Laurie3, who is one of the few megachurch pastors who also does crusade-style evangelism. Preaching a sermon series is something that we as Evangelicals have mastered. Rethinking a single message might mean some fine tuning. Adjusting for an audience that isn’t as intimately familiar with you might require some local research. (a) Preaching to crowds? No brainer. (b) Your books and online presence assures that you are known beyond your own community. 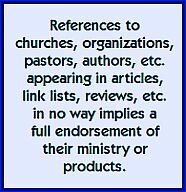 (c) Your reputation guarantees the ability to find local churches to partner with you or your church on local logistics and finances. (d) You already block out a number of weeks for conference speaking; this is a horse of a different color, a crusade-style meeting (or meetings) which won’t take you away from your home church any more than you have already allotted for and will reach a demographic which doesn’t do conferences. Some people4 have done this already, either as individual dates or as a road trip.